If I invented a pill that cured cancer, I can assure you that I wouldn’t try to force it down your throat via legislation, regulation or some other governmental mandate. After my early career as a newspaperman writing about government, politics and the way those intersect the corporate world, I have a distaste for almost all mandates. You can argue with me if you like, but I have set my stakes in the ground and am watching the rain outside my tent. SawStop’s methods and my methods are not the same. I have always been the kind of person who bristles when someone tries to force-feed me anything, even if it’s good for me. 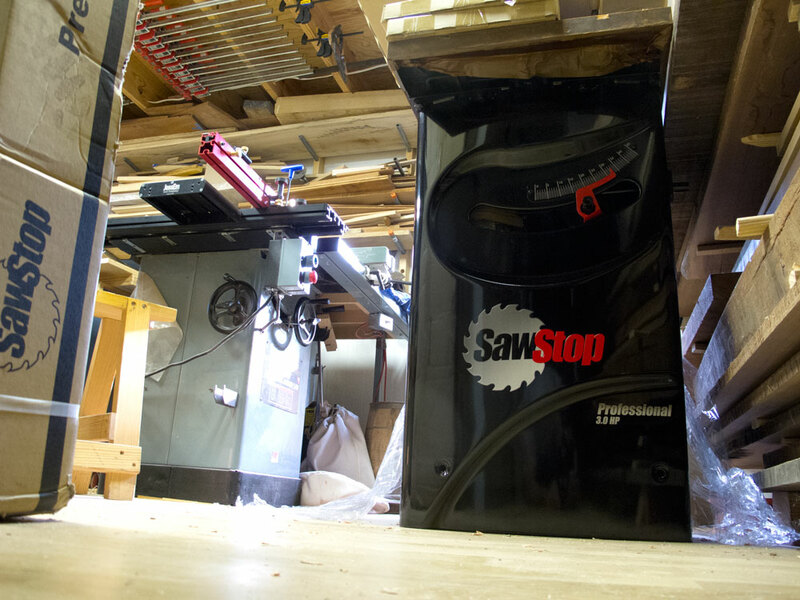 So here is why I broke down and bought a SawStop cabinet saw last week: It is the safest table saw on the market. 1. Is a finger worth $67 (the price of a misfired cartridge)? 2. Is a finger worth $3,000 (the price of a SawStop 3hp cabinet saw)? 3. Aren’t sawblades really disposable items when compared to fingers? I answered those above questions by purchasing a SawStop. I paid full retail, plus tax and shipping. If you think that the SawStop company would ever cut me a deal (or that I would even ask for a discount), then you haven’t been reading my stuff long enough. The new saw arrived Wednesday, and it is sitting next to my soon-to-be-obsolete Unisaw. The Unisaw has served me unerringly for more than 12 years. I have never had a close call with it. I have kept the guard on it whenever I could. In fact, I have an aftermarket splitter installed on it now. But that is not enough once you have crossed over. Once I realized how easy it would be for my left hand to slip forward on the cast-iron table of my Unisaw, I unplugged the machine and turned my back on it forever. I think that in 50 years or so, this discussion will be moot. All saws will have flesh-detecting technology. If you don’t think I’m right, dig deeply into the history of automobile safety technology and decide for yourself. Until then, I’m going to keep my SawStop, keep my fingers and keep my head buried in the sand when it comes to the politics of table saws. P.S. I have disabled the comments on this post. I have no desire to hear the same histrionics that pollute the message boards.